WPBO is open to the public! 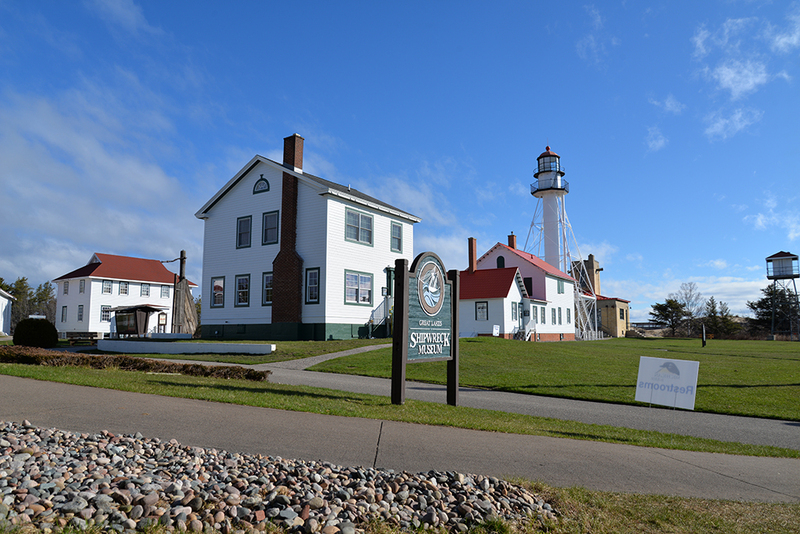 Whitefish Point Bird Observatory is located at the end of N. Whitefish Point Road, 11 miles north of Paradise, Michigan. 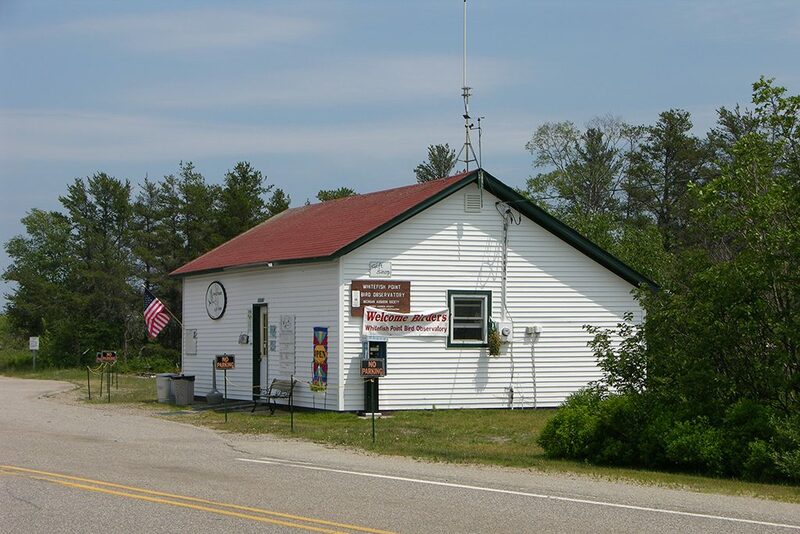 The WPBO Banding Lab and Owl’s Roost Gift Shop is located across the parking lot from the Great Lakes Shipwreck Museum and lighthouse. During count seasons, the hawk deck and waterbird shack are open to visitors. 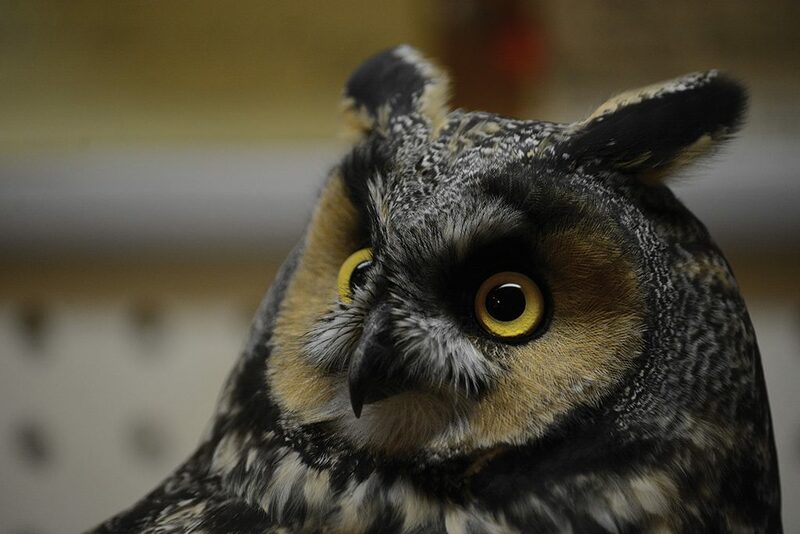 During the Owl Banding seasons, visitors can observe the owl banders in action on Friday and Saturday evenings from dusk until midnight. For additional WPBO events, visit our calendar. Michigan Audubon’s Owl’s Roost at Whitefish Point Bird Observatory features a variety of merchandise, bird-lover swag, field guides, shade-grown coffee, conservation-themed gifts for kids, logo gear, and more. By making purchases from the Owl’s Roost gift shop, you are supporting the research and education efforts of Michigan Audubon’s Whitefish Point Bird Observatory. The Owl’s Roost Gift Shop at WPBO is open late April through late October. The weather at Whitefish Point is highly variable. Winter-like conditions normally end in early May and begin in mid-October. When winds shift to the north and west, coming off Lake Superior, the Point is decidedly cold, even in August. It is advisable to bring warm clothing during all seasons. In addition, from mid-May through September insects may pose a problem. Visitors should bring insect repellent during these times particularly if birding in the woods. Wind and sun can be a challenge while birding on the beach or dunes. Sunblock and sunglasses are recommended during all seasons. What birds will you see seasonally? The chronology of migration at the Point is as dynamic as the weather. Winter is harsh here along the shores of Lake Superior and birds tend to be sparse, but in some years, good numbers of northern finches such as redpolls, crossbills, and colorful Pine Grosbeaks are around. 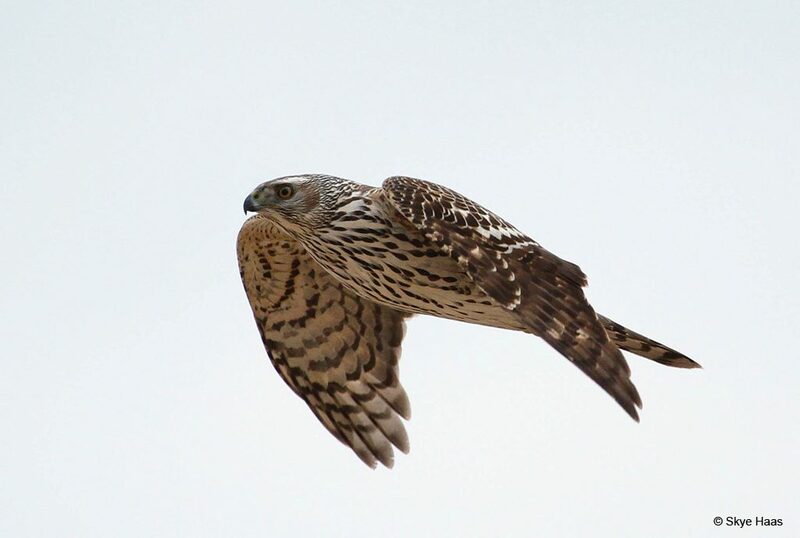 Winter is often still in full force by the beginning of the spring research season on March 15, when the hawk count and owl banding programs start. 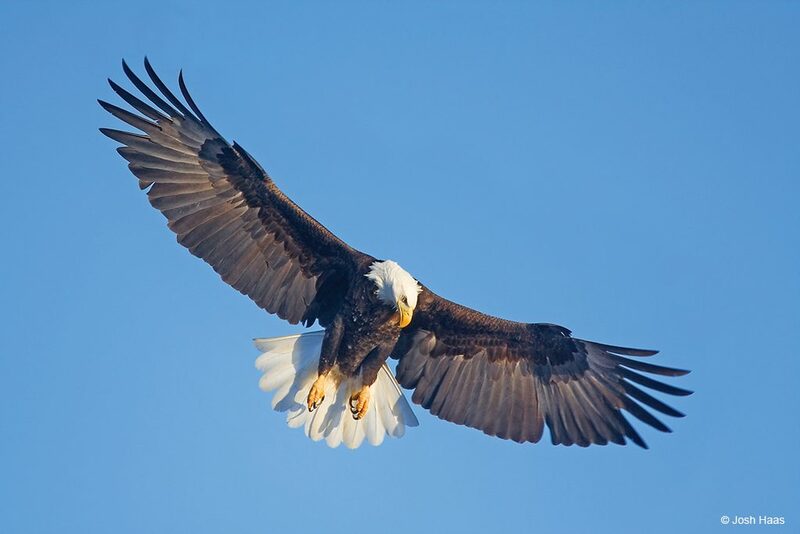 Even though Whitefish Bay is often still locked in ice at this time, the first warm southerlies bring migrant Bald and Golden Eagles up the peninsula to the Point. Boreal irruptives like finches and Bohemian Waxwings start their northward journey during this month. 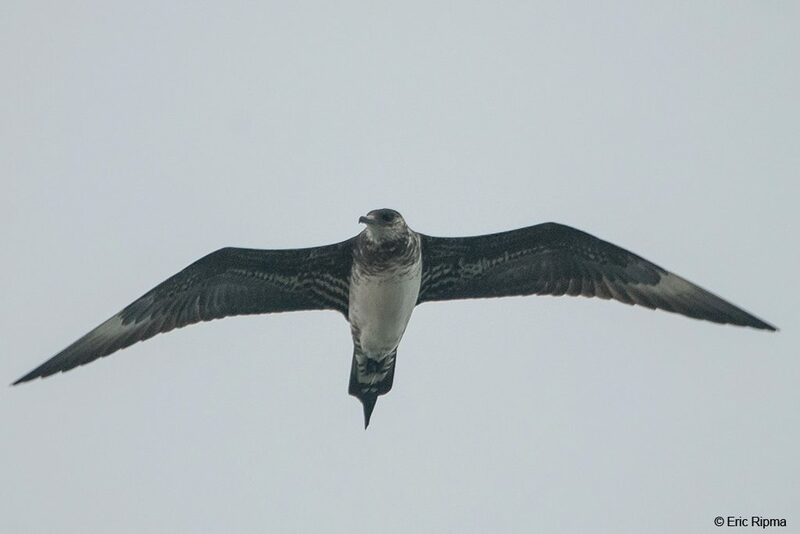 For more information about what birds you might see season by season, click below to read “Observation Opportunities at Whitefish Point: A Birder’s Guide to WPBO Seasons” by Skye Haas. Winter comes on fast at Whitefish Point, but birders still visit late in the year to look through the flocks of finches flitting through the snowy, December landscape. 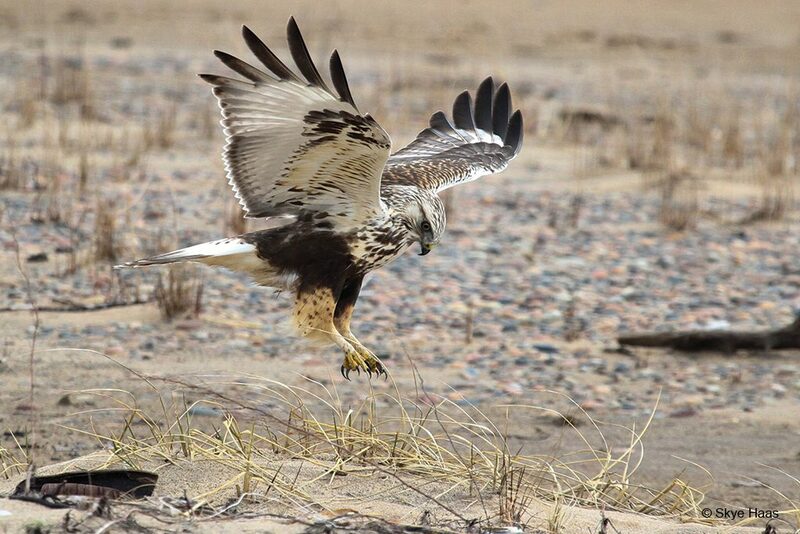 The Whitefish Point Christmas Bird Count is a final hurrah for the year, and while in some years the birds make you work for them, it’s Whitefish Point — one never knows what can turn up. Previous CBC goodies include Western Grebe, Gyrfalcon, and Michigan’s first record of Clark’s Nutcracker! 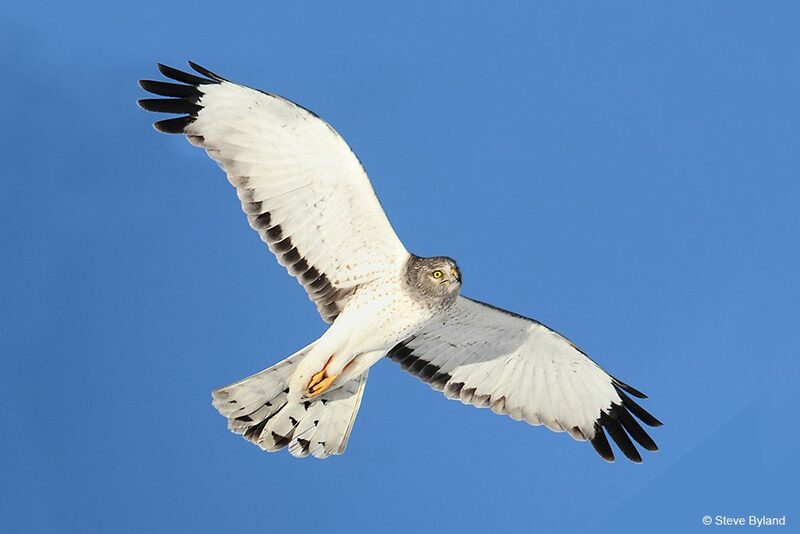 By early April, hawk and owl migration is in full swing with numbers of Northern Harrier, Goshawk, and Red-tailed and Rough-legged Hawk flying overhead during the day, while the secretive movements of Northern Saw-whet, Long-eared, Boreal and Great Gray Owl are revealed by the all-night efforts of the banding team. 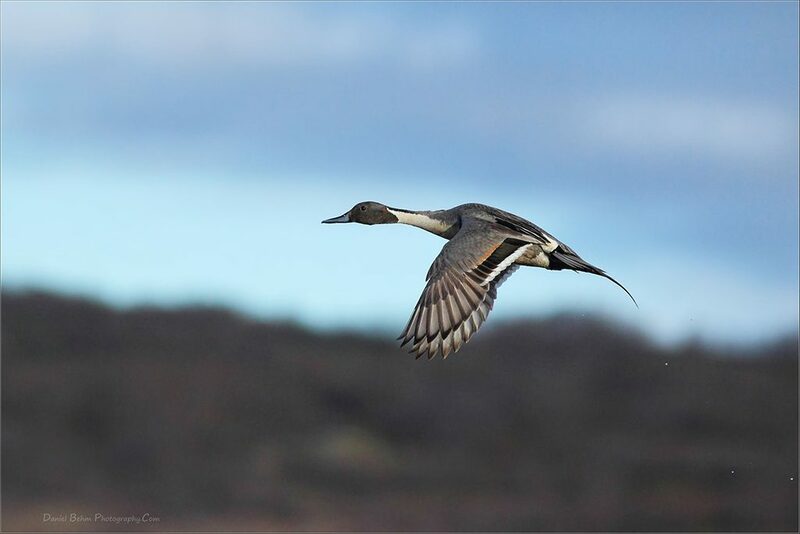 The waterbird count begins on April 15, often with big flights of Canada Goose and Sandhill Crane. By the end of the month, Common Loon are migrating by — Whitefish Point records one of the largest spring flights of Common Loon in the country, usually peaking in early May. 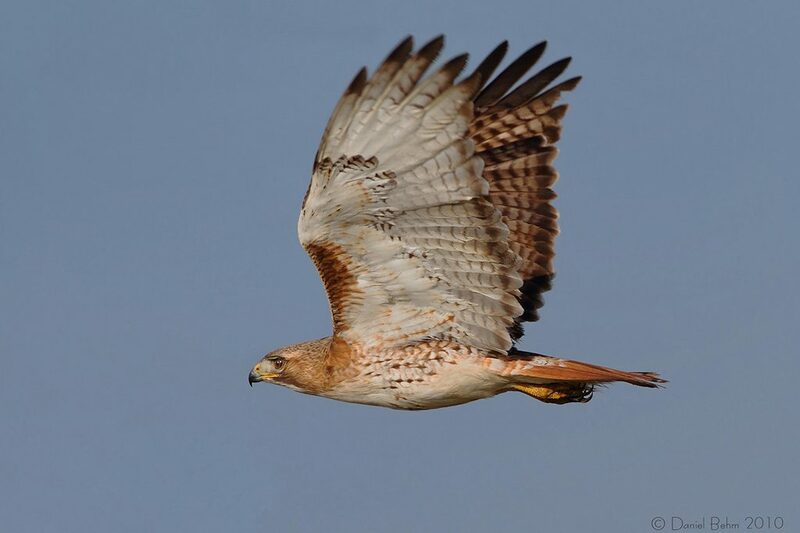 Also peaking then is the hawk flight — a visit to the Point at this time can allow one to witness the spectacle of Broad-winged Hawk kettling above the dunes by the hundreds. Although the first sparrows arrive along with big flocks of Dark-eyed Junco in April, early May can bring large flocks of Chipping, White-throated, and White-crowned Sparrow scratching away in the underbrush. Smartly patterned Clay-colored Sparrow are often seen at this time, and sometimes a stray Lark Sparrow turns up. Also by early May, the federally-endangered Piping Plover are back on the beach, sorting out their territories among the cobblestones. 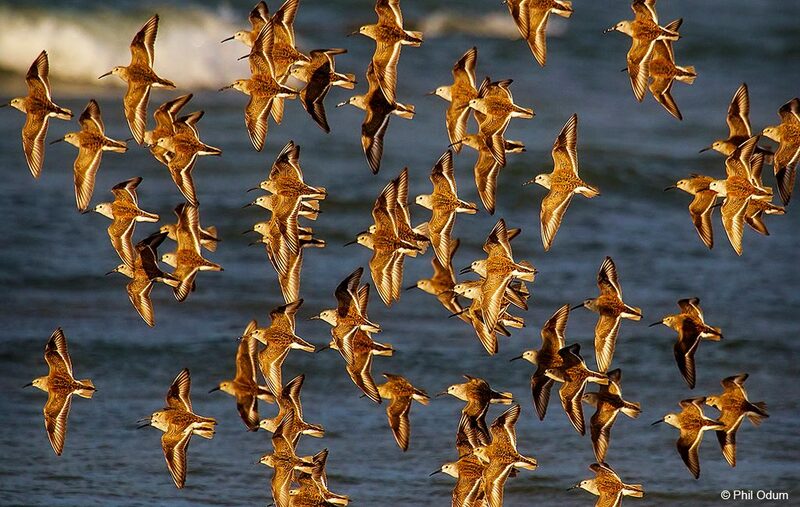 By mid-May, migration is crescendoing, with raptors making their final big push amidst swirling flocks of hundreds of Blue Jay, the first real waves of warblers and shorebirds arriving, and handsome species like White-winged Scoter, Long-tailed Duck, Red-throated Loon, and Bonaparte’s Gull winging their way over the waves. By the end of the month, the counts are winding down, but this can be the best time to see multi-colored neotropical songbird migrants like warblers, tanagers, grosbeaks, flycatchers, and orioles as they comb the jack pines to refuel on their way to more northerly breeding grounds. Out on the beach, flights of Whimbrel — renowned for migrating in just a few days in late May — are eagerly anticipated and watched for. 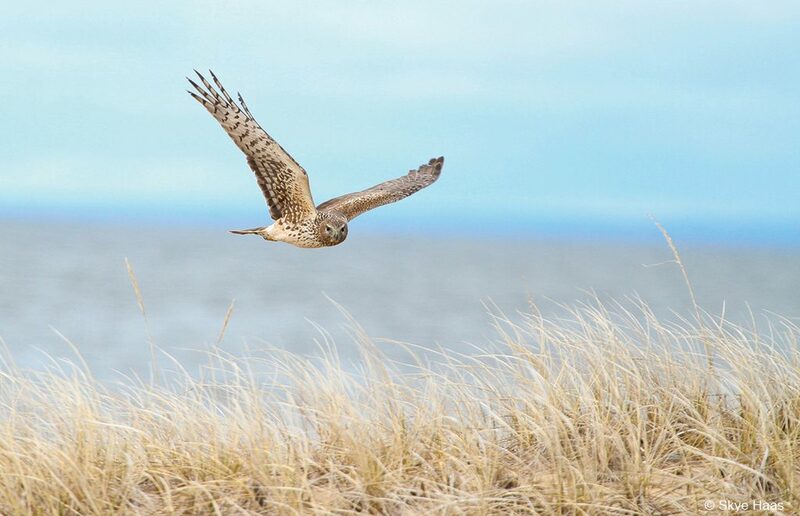 Although rarities can show up anytime in the season, Whitefish Point has a reputation for saving the best for last with the rarest birds of the season showing up toward the end of May. Notable birds such as Swainson’s Hawk, Scissor-tailed Flycatcher, Lark Bunting, and Smith’s Longspur have been found on more than one occasion at Whitefish Point, and on very rare occasions, drop-everything-and-run rarities like Common Eider, Lewis’s Woodpecker, and McCown’s Longspur are seen! 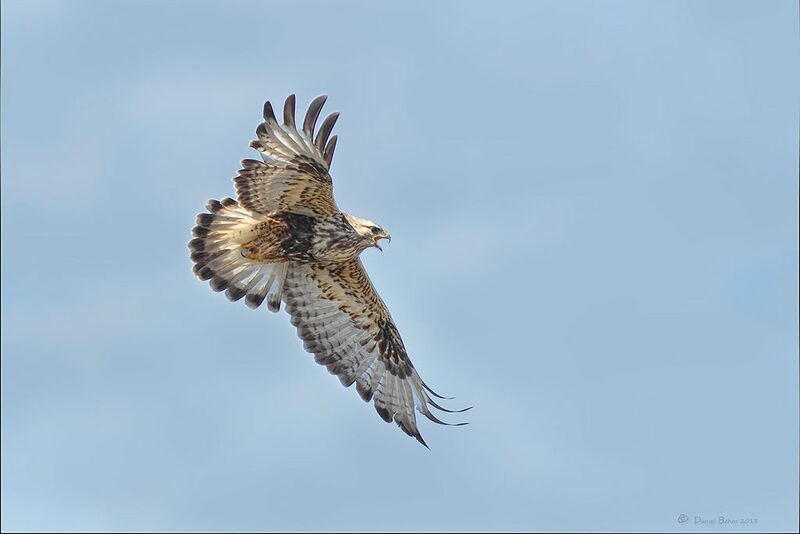 The spring research programs end on May 31, but migration spills over into June when there can be strong pushes of late-season migrants like flycatchers, warblers, and juvenile Broad-winged Hawk well into the month. 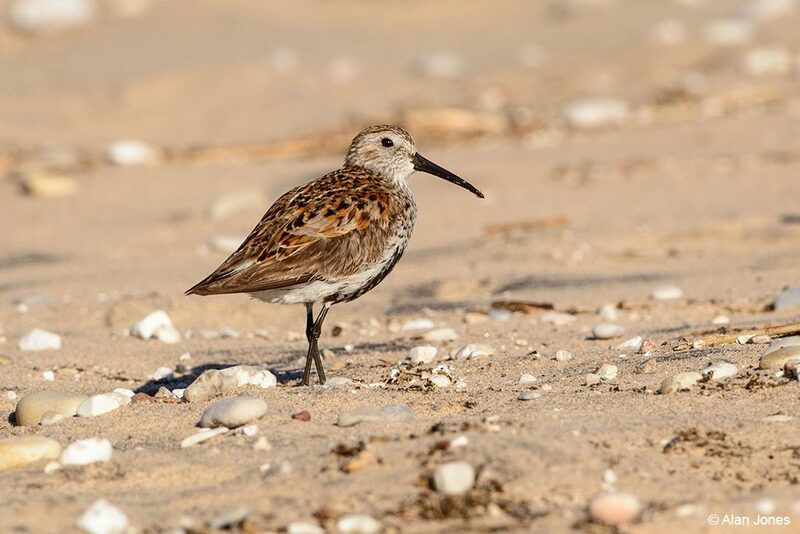 Numbers of northbound shorebirds often peak right at the cusp of June, though shorebird migration is protracted and a walk along the shoreline anytime during the summer can be productive. Birders visiting the Upper Peninsula in June are primarily seeking out breeding birds; while the dry jack pine dunes of Whitefish Point hold but a few nesting species, the nearby boreal bogs and lush hardwood forests harbor warblers, vireos, grosbeaks, and a host of other species that dare birders to brave the biting insects and dive into the northern woods in full glory. 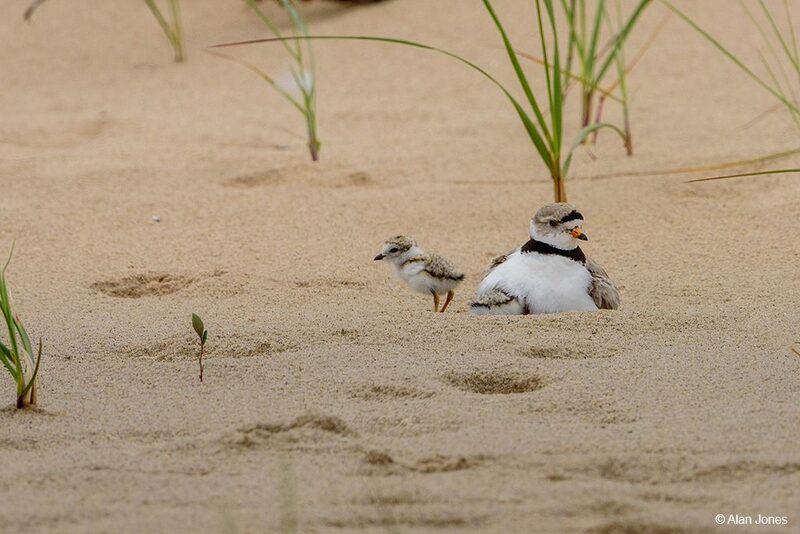 Shorebirds aren’t the only birds on the move in the summer months. 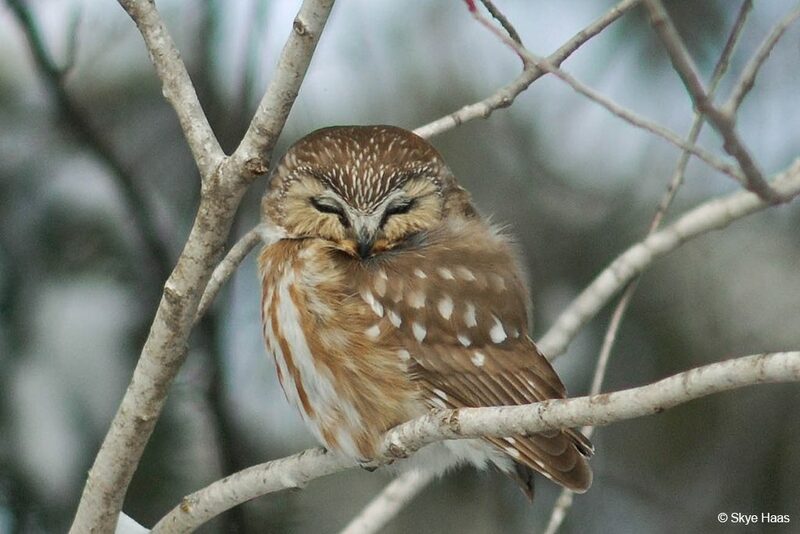 Staff at WPBO have discovered there is a previously undocumented summertime movement of Northern Saw-whet Owl at Whitefish Point, and for several years now, a program to record this event has run from July 1-August 25. 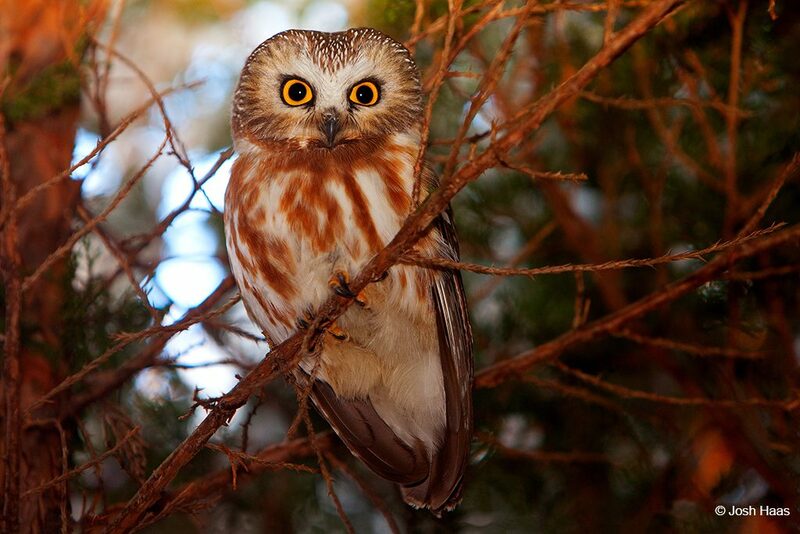 Hundreds of juvenile Northern Saw-whet Owl have been recorded and no other site in North America has observed a similar pattern. By late July, southbound migration is already beginning. Warblers are quickly dispersing off breeding sites and by August a cold front can send a wave of newly-forged migrants to Whitefish Point. But the real action in August is out over the waves of Lake Superior, as one of Whitefish’s specialty birds is migrating in earnest; nowhere else in North America can one see Red-necked Grebe migrating by in numbers ranging into the thousands. This iconic bird baffled WPBO researchers when the first experimental fall waterbird count was conducted in the late 80s — the unprecedented numbers of Red-necked Grebe were hard to believe, but now, over fifteen years later, we know that peak day counts can top 5,000 grebes furiously flapping their way to the Atlantic Ocean! The waterbird count resumes for the fall on August 15, and in addition to grebes, good numbers of teal, shorebirds, and terns are seen this time of year. After Labor Day, migration really kicks up a notch. At this time, fall warbler flights are peaking, with Tennessee, Cape May, and Blackpoll Warbler often making their nucleus of mixed-foraging flocks. Thrushes are also a big part of early-/mid-September songbird migration. The aftermath of a strong thrush flight will see the ground of dense thickets carpeted in Swainson’s and Gray-cheeked Thrush. Having only taken the briefest respite from the summer research program, owl banders resume work on September 15. 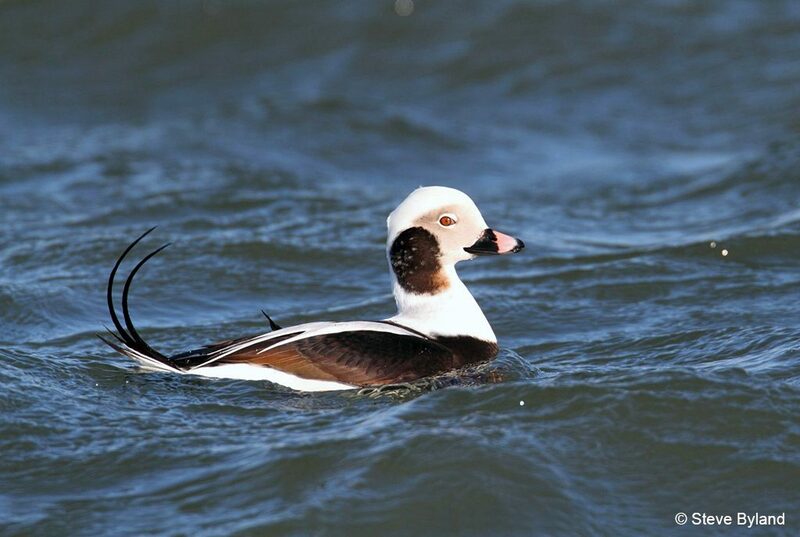 At the waterbird count, birders gather in hopes of crossing paths with arctic prizes that sometimes appear during this period, such as jaegers and Sabine’s Gull. Common and Red-throated Loon, which have been trickling by all season, pick up in number now. Sparrows really start moving in late September as well. A good fallout of sparrows will see hundreds of Lincoln’s, Savannah, and White-crowned Sparrow, and birders are always trying to pluck out a Le Conte’s or Harris’s Sparrow from the hordes. 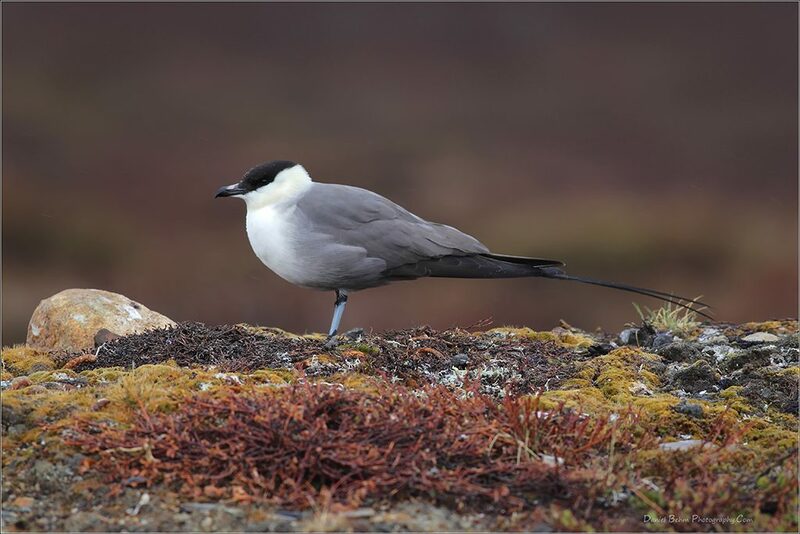 Rarities such as Long-tailed Jaeger, Western Kingbird, and even Northern Wheatear have multiple records in late September. 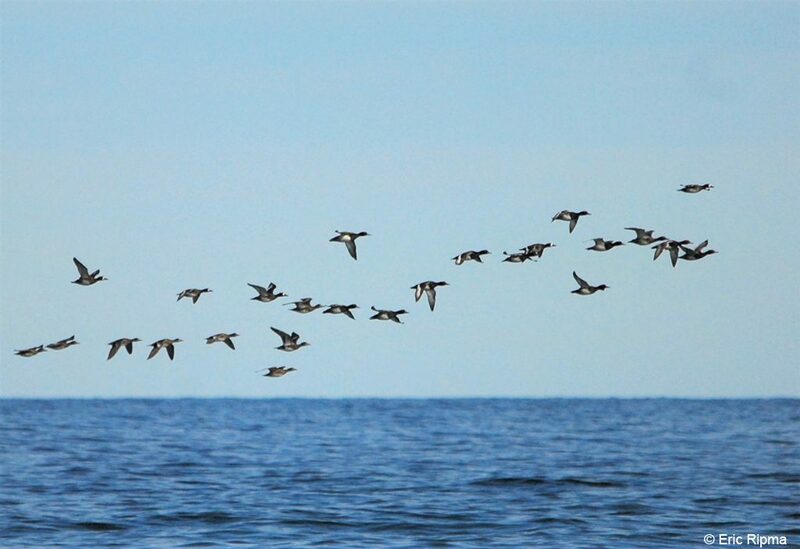 Most songbirds are gone from Whitefish Point by the start of October, but hardy birders know that this is the time when the waterbird count is recording some of the biggest flights of the year with thousands of loons, geese, and ducks migrating out of the north. 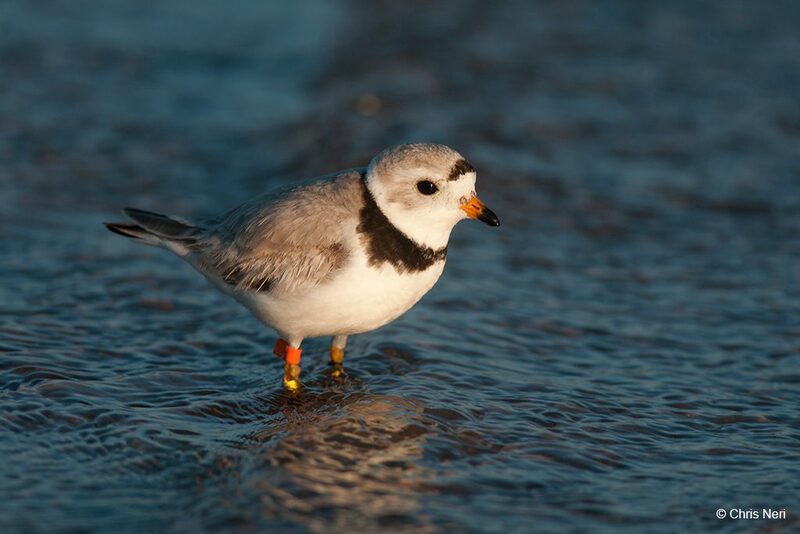 Whitefish Point has one of only two full-time waterbird counts in eastern North America, and time spent here can be rewarding as observers work on growing their ID skills. 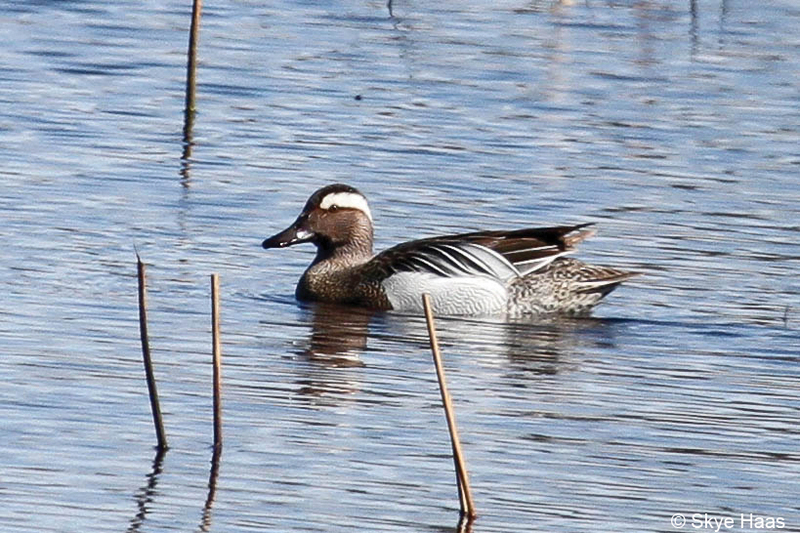 Many of the ducks appear as distant specks over the lake, and even with a spotting scope, identification can be challenging. By the end of October, the touch of encroaching winter can be seen everywhere. If there is going to be an irruption of boreal or arctic birds south, often Whitefish Point is the vanguard of that movement. Northern finches begin to arrive, cold-weather waterfowl like Long-tailed Duck and Red-breasted Merganser are often recorded in huge flights, and if at the high point in their cyclical movements, Northern Hawk Owl, Boreal Owl, and Snowy Owl make their appearance at this time as well. 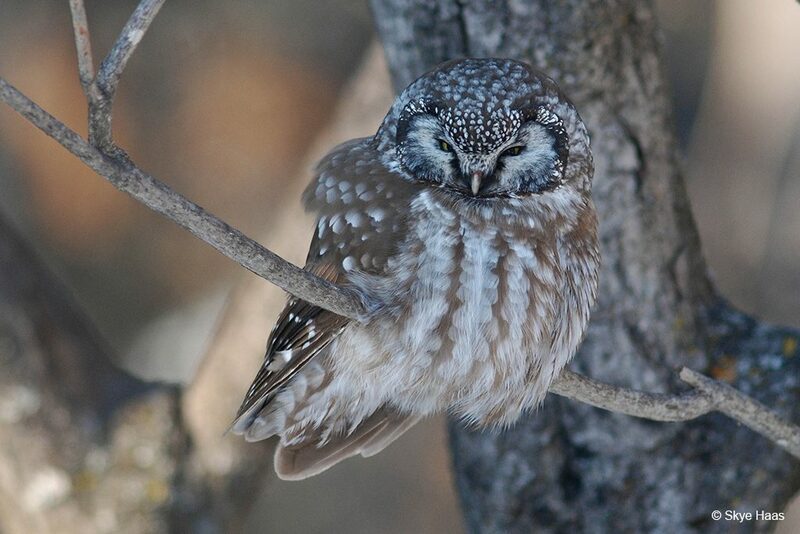 The owl programs end on October 31, but the waterbird count soldiers on to mid-November. It can be a slow winding down, but some of the most spectacular rarities recorded at Whitefish Point occur at the end of fall migration. 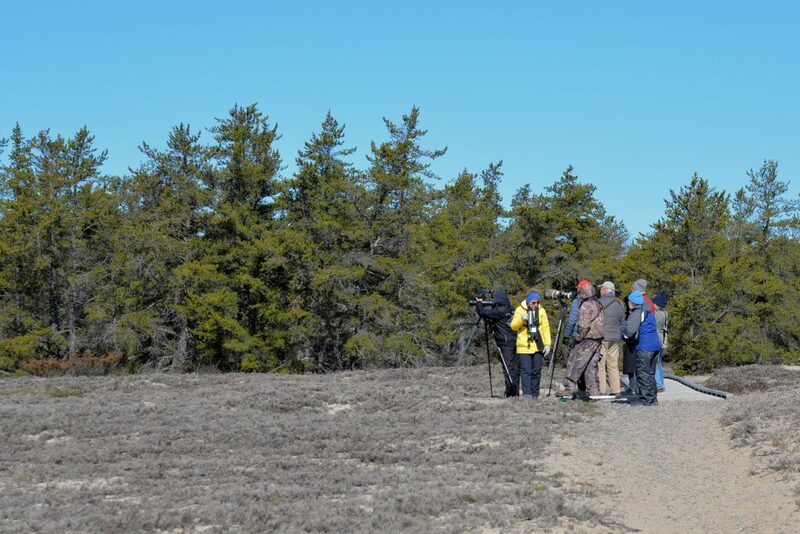 Such mind-blowing rarities as Ancient Murrelet, Hepatic Tanager, Lucy’s Warbler, and Short-tailed Hawk have all been recorded in the late fall, and have helped cement Whitefish Point as one of the legendary hotspots of the Great Lakes. 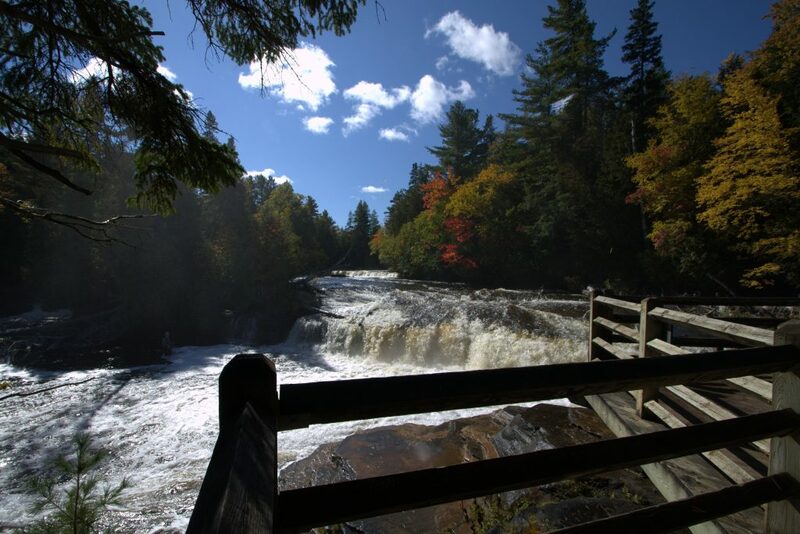 The Paradise area offers numerous accommodations from hotels, motels, cabin rentals, to camping. Visit the links below for more information. There are a number of fun and interesting attractions in the Paradise area. Visit the links below to help plan your visit.